Hay, dairy operations, small farms and more all need a tough, do-everything tractor that can handle the heavy lifting. The 4700 Series tractors deliver, giving you the power and versatility to handle your toughest jobs so you can get more done faster, regardless of the kind of operation you have. HEAVY-DUTY: At a best-in-class base weight of 7,125 lb., the 4700 Series is purpose-built for more pulling power and more lift capacity. Not to mention better maneuverability and more stability. TRANSMISSION: An easy-to-operate transmission provides multiple speed options and a more comfortable ride, whether you’re maneuvering through headlands or around tight spaces in the barn or yard. 3-CYLINDER 3.3 L AGCO POWER™ ENGINE: At the heart of it all is a rugged, reliable, fuel-efficient Tier 4 Final engine. These engines range from 80 - 100 horsepower and are specifically configured for North America. 4700 SERIES: The 4700 Series is easy-to-use and comfortable to operate. 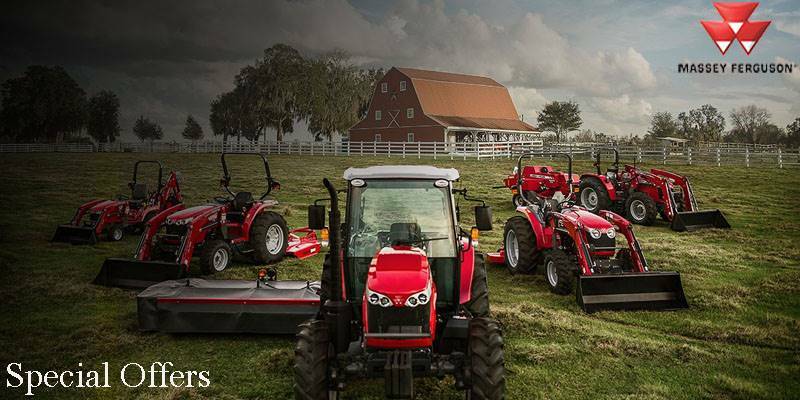 From the ground up, these tractors are engineered for smart, ergonomic, long-lasting operation. Because even though the work is tough, your tractor should never be hard on you. ADJUSTABLE SEAT: A spring tension-control knob adjusts the seat to comfortably accommodate operators of all sizes. EASY-REACH CONTROLS: Essential controls are ergonomically positioned for easy operation and comfort. FENDER-MOUNTED 3-POINT CONTROL: Hitch raise or lower controls on deluxe models are incorporated into the rear fender, making hook-up and disconnection of 3-point implements quick and easy. TIGHT TURNING RADIUS: Sometimes you need to work in confined spaces. These tractors feature a tighter turning radius for easier maneuverability with better stability. 2WD / 4WD: The 2WD axle comes with five track-width settings in 4-inch steps to accommodate virtually all crop or field conditions. An optional hydraulic-controlled differential lock on the 4WD front axles ensures that drive is evenly distributed for better traction and greater stability. ADJUSTABLE WHEELS: With a wide range of wheel-spacing settings, these tractors handle everything from specialty farming applications, like small-scale row crops and vegetables, to roadside mowing and land management applications. 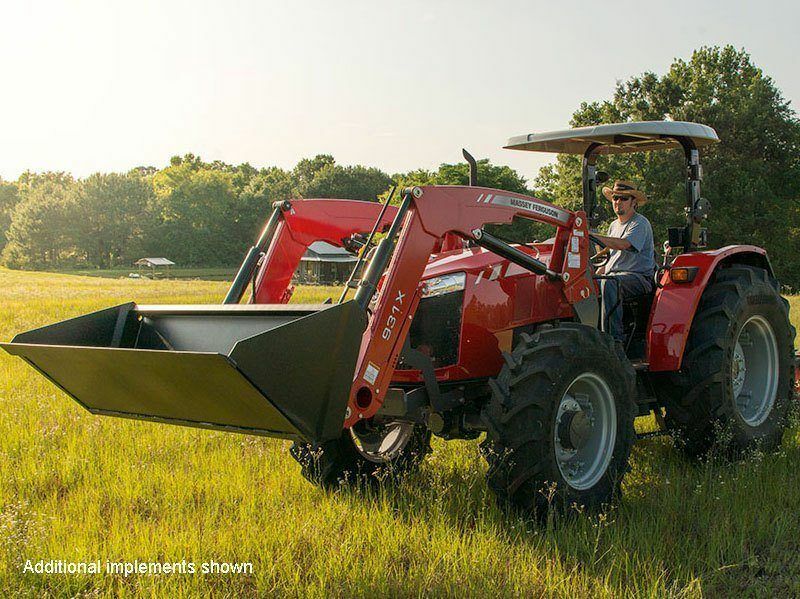 EASE OF USE: An easy-to-operate transmission provides multiple speed options and a more comfortable ride, whether you’re maneuvering through headlands or around tight spaces in the barn or yard.